Get good-looking results. Giant jobs - small jobs. All varieties of repairs completed quickly. Helpful and trustworthy work teams. Free quotes. Budget friendly. Flexible. You will like your new ceiling or walls. Looking for a SoCal company to deliver, put in and finish some new sheetrock? Or maybe you have a ceiling or wall that doesn’t look so good anymore. You want them repaired. This company’s business specialty is building and fixing ceilings and walls in houses and other buildings. They’re happy to work on just about any job you have. Whether it’s a basement renovation, small commercial structure or some common repairs. A good number of their repair jobs are due to either one-time accidents, rough behavior or water damage. They are able to deal with anyone who has a building they want worked on. 1. Truck the gypsum drywall sheets to the job site. 2. Install the sheets to the walls or ceiling. 3. Tidy up and take away trash and unneeded material. 4. Tape the joint seams between sheets and apply joint compound to every joint and screw head. 5. Smooth, finish, sand and apply some texture to the surfaces. The painting process can begin after the fifth step is done. The majority of the jobs they work on ask for them to finish all of the five actions, but some property owners want them to finish only a few of the steps. For instance, if you only want sheetrock delivered to your property, and you would like to do all the other work, they can just do the delivery. Sometimes they are called out to jobs where the sheetrock is already up on the walls, they just have to do the taping and mudding and finishing parts of the job. Regular drywall is built for dry areas, it’s not made for showers and bath spaces, so they have a water resistant board they can use in those locations. Plus, they have a strong, solid cement backer board they employ on those walls where you intend to place ceramic tile on. They’re flexible. They can provide the services you need. Things happen around the house. They get it. Dents and holes get put into walls every day. And frequently by the oddest circumstances. They have heard all of the stories. If your wall or ceiling has a hole in it, and that hole is not in a location which other people go in, you could attempt to repair it yourself by using a patch. A patch repair often ends up being a little more difficult than it appears. Lots of users can’t get the patch to blend in seamlessly with the rest of the ceiling or wall. Homeowners might often attempt minor repairs in hidden areas of the house, but we think all big repairs should be tackled by a trained person in order to have the job done really well. The surface of your new or repaired walls and ceiling are finished to correspond with the surfaces of the old walls or ceiling. Patching or repairing an isolated simple hole or dent. Getting a couple of unattractive or dented interior walls mended and ready for repainting. Eliminating and updating sections of water ruined drywall. Working on bigger scale removal and replacement of a whole room or even more. They are able to help out no matter how big or small your upcoming repairs are. You could have options concerning the style of surface finish that your new walls are left with. Completely unfinished – just taped, for non-finished work rooms or garages. Smooth surface finish – zero texture, waiting for paint or wallpaper. Simple texture – provides a little more dimension. Complicated texture – hand-troweled and more difficult to get done. Texture matching – make your replacement materials match with your original ones. Lots of people are tired with the popcorn ceiling look. Find someone who will clean off that old, messy ceiling texture and put on a clean, modern one. 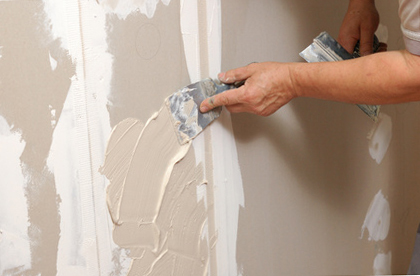 Work with a dependable group of knowledgeable CA drywall installers and finishers. If they work for you, they do their very best so you appreciate the results and the entire process. 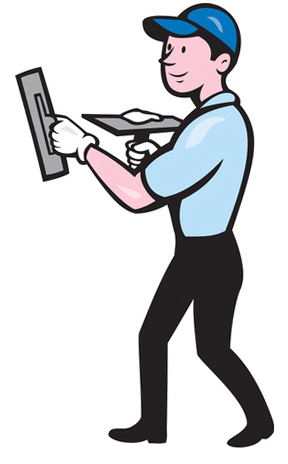 Their workers are furnished with the best tools to finish your job quickly and have it look great too. Your work crews are tidy and respectful. They try their hardest to minimize the chaos and dust these projects can create. They will not leave you with a giant cleanup assignment when they are done. They gather up and haul away all the scrap materials and trash. Single family houses constitute a lot of these assignments, but they also work at apartment buildings and other commercial buildings. They work for local contractors, landlords and homeowners. They are pleased to talk to you if you call. They will be happy to write up a quote for your project. Your cost will be based mostly on the size of the job and how much of the project you would like them to do for you. Since there can be so many variables to each job, it’s best to simply talk on the phone to get a quote. If you have no interest in doing the painting, you can have them do that part of your project as well. Some homeowners like to paint. So if you want to take on the painting, just let them know. Are You Working in My LA Neighborhood? You can often find them working hard around the city. Appointments are available near downtown and the city center in neighborhoods such as San Marino, North Arroyo, Hastings Ranch, South Arroyo, South Pasadena, Mid Central, Lamanda Park and East Pasadena. Service is also available in all the suburbs, including Alhambra, Arcadia, Altadena, Azusa, Monterey Park, Rosemead, San Gabriel, El Monte, Baldwin Park and West Covina. Do You Work in My Greater LA Neighborhood? If you have a project in or near the central areas of Pasadena – San Marino, North Arroyo, Hastings Ranch, South Arroyo, South Pasadena, Mid Central, Lamanda Park and East Pasadena – contact them.